Hattiesburg, Mississippi – At a special-called council meeting on Tuesday night, the Hattiesburg City Council unanimously voted to set an election date for the 1-Cent Parks and Recreation Proposal. 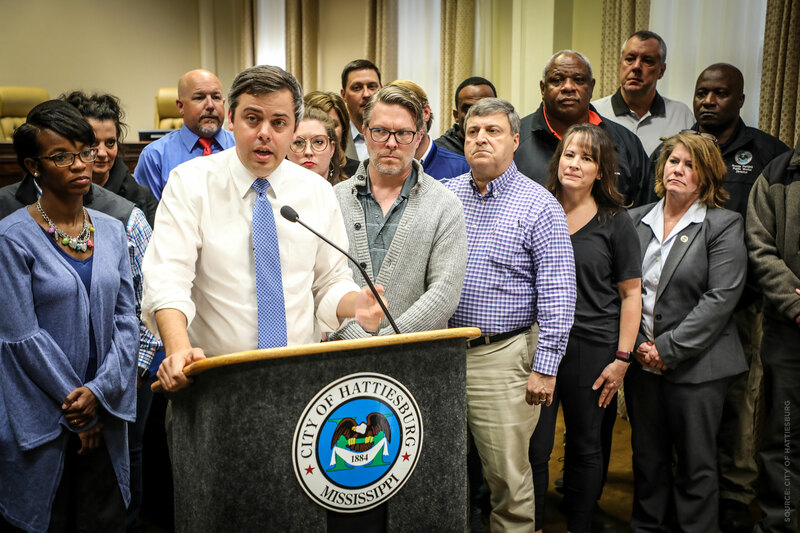 On Tuesday, April 23, voters in the City of Hattiesburg will have the opportunity to vote to raise the restaurant and hotel/motel sales tax by 1% to invest in parks and recreation facilities in the City of Hattiesburg. The additional 1% in restaurant and hotel/motel tax revenue is expected to generate at least $2.4 million per year. The total amount of new revenue would be split, with half going to improve parks and recreation facilities and half going to support renovations to Reed Green Coliseum, allowing it to also function as a municipal arena. The above projects assume a $1.2 million per year revenue stream for approximately three years (June 1, 2019 through June 30, 2022). Any additional funding generated above the $1.2 million will go toward creating bike trails, sidewalks and multi-use paths across the city. The other half generated by the tax increase would go toward the renovation of Reed Green Coliseum. These funds would be used to not only upgrade the facility to modern-day standards for seating and sound but also to serve as a municipal arena. If passed by 60%, the additional 1% tax would begin collection on June 1, 2019, and be in effect until June 30, 2022. The election will be held on Tuesday, April 23. Hattiesburg voters will vote at their city precincts. If there are any questions about where to vote, residents can call 601-545-4552. Absentee ballots can be requested or accessed by calling or by visiting City Hall at 200 Forrest Street.